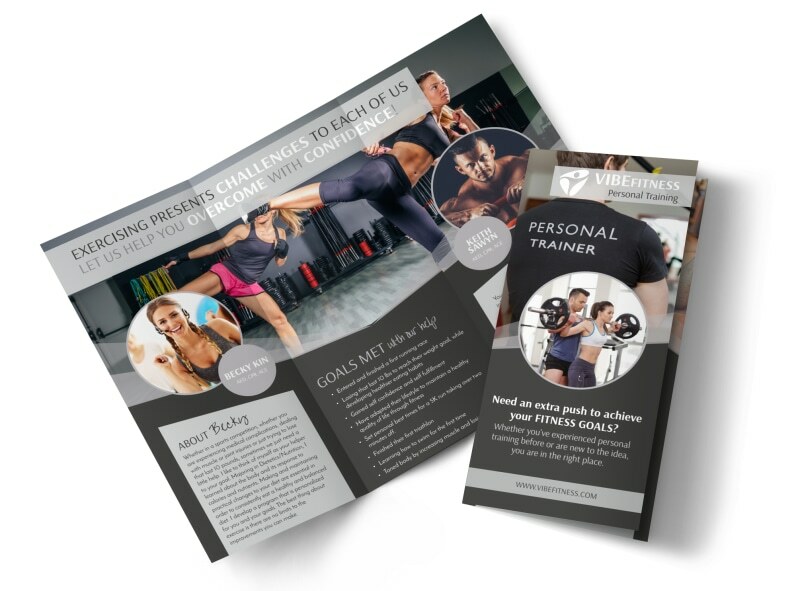 Customize our Elite Personal Trainers Tri-Fold Brochure Template and more! 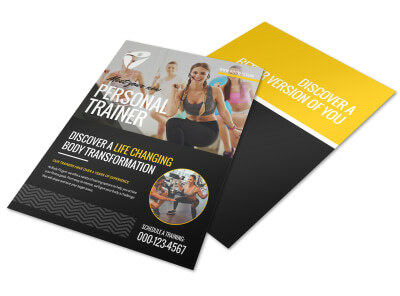 Promote your personal training business with a customer detailing the services that you offer. 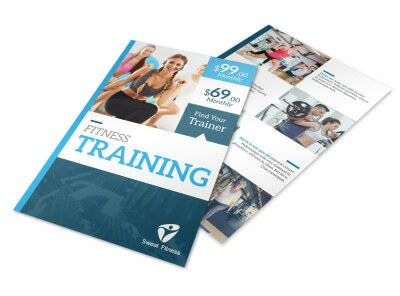 Use each fold of your brochure to grow your business, including information that describes your background and expertise, a section for client testimonials, and a rundown of the rates that you charge for services. 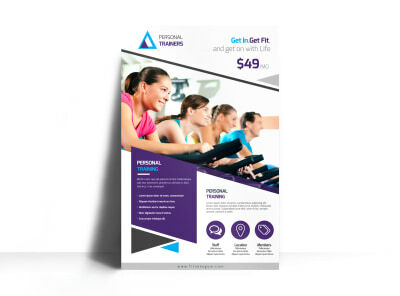 Start designing your brochure today, and bring it to life in a matter of minutes.